A newly unearthed letter from Nightingale shows her seeking women of the "right caliber" for her nursing team. A letter from Nightingale to a deceased soldiers' sister has been made public. See the story from the UK Daily Mail. The San Jose Mercury-News ran a column about me and my interest in Florence Nightingale. August 13, 2010 marked the 100th anniversary of Nightingale's death. Read an article on the occasion from the Tulsa World. An exhibit at the newly reopened Florence Nightingale Museum highlights the role of John Sutherland, one of the doctors who worked with Nightingale. Read an article. There is an excellent article on Nightingale in the BBC's online News Magazine. An elderly British couple has discovered to their surprise that the Chinese vase they were using as an umbrella stand was a priceless antique. There is reason to think that the vase may have belonged to Florence Nightingale at one time. Read the story. Annually around her birthday a commemorative service is held at St. Margaret's Church, East Wellow, Hampshire, on the Embley estate, and at Westminster Abbey in London. Read about the 2016 Westminster commemoration. Information about the upcoming 2017 commemoration is here. The King's College, London, Florence Nightingale School of Nursing and Midwifery will celebrate its 150th anniversary in July. An article in the April NurseWeek magazine describes Country Joe's new "Tribute to Florence Nightingale and Nursing" show. A rare photograph of Nighingale in her last days has been sold for £5500. It was taken by Lizzie Caswall Smith in 1910. Read more. A new book Florence Nigthingale and the Viceroys deals with her her profound influence on health and welfare in India. It was written by Patricia Mowbray, an art historian who was coordinator for the foundation of the Florence Nightingale Museum. Recently discovered letters from Sir John Hall, head medical officer in the Crimean and Nightingale's chief nemesis, shed light on his complaints against her. Read the story from the Guardian. All nurses and concerned citizens are invited to visit http://www.NightingaleDeclaration.net -- introducing both this personal 'Declaration' and two proposed United Nations Resolutions for an "International Year of the Nurse"  and a "UN Decade for a Healthy World" [2011-2020]. To encourage the adoption of these UN Resolutions by the UN General Assembly in 2008 and 2009, individual signatures of the 'Declaration' are invited from millions of nurses, devoted-locally and globally-to the health of all humanity. These signatures of worldwide commitment by nurses, midwives, other health workers and concerned citizens will help build a grassroots-to-global foundation of support for these UN Resolutions and an 'Action Plan' to implement them, locally, nationally and internationally. Initial Sponsors include ANA, STTI, American Association of Critical Care Nurses, Johns Hopkins University School of Nursing, University of Minnesota School of Nursing, Decision Critical, Inc., and Nurse-Theorist Dr. Jean Watson. For details and to sign this Declaration, please visit http://www.nightingaledeclaration.net. 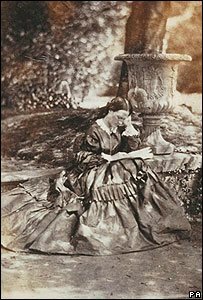 On August 7, 2006 the Florence Museum announced its acquisition of a previously unknown photograph of Florence Nightingale. The photo was included in an album of pictures taken by a Hampshire pharmacist and amateur photographer that was donated to the museum. 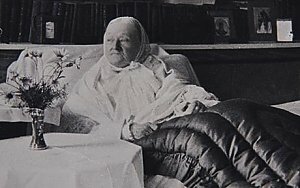 One of only eight known photos of Nightingale, it shows her at her home Embley in 1858, two years after her return from the Crimean. A letter from Florence Nightingale in which she hints at having a love life is being auctioned, according to a July 26, 2006 BBC report. The letter, dated 27 November 1882, is a reply to a request for a public appearance in London. In it, the famous nurse asks if she may bring "a gentleman friend," one of the few times the woman devoted to nursing expressed an interest in a man. The letter, being sold by Hanson's Auctioneers in Derbyshire, is expected to fetch up to £500. "We all know through social history that Florence was not a lover of men so we don't know if this was perhaps a first boyfriend or who it was," auctioneer Charles Hanson said. "But the way she has inscribed it in inverted commas makes it extremely curious." Florence Nightingale�s home at Lea Hurst, near Matlock, Derbyshire, has been sold. Learn more. The British government has launched a "matron's charter," based on the ideas of Florence Nightingale, to improve hospital cleanliness. Read the story from the BBC. Nightingales : The Extraordinary Upbringing and Curious Life of Miss Florence Nightingale by Gillian Gill is a new biography. You can order it from Amazon. A CD of Country Joe's four nurse songs, Thank the Nurse, is out. Buy it at Ye Olde Gift Shoppe. There is an article in the Nurseweek online magazine about Country Joe's interest in Florence Nightingale. The United States Historical Society is offering a Clara Barton (Civil war nurse and founder of the American Red Cross) doll in addition to its Florence Nightingale doll. The Commemoration of Florence Nightingale was authorized for trial use in the Episcopal Church at its General Convention in July, 2000. There is more information and a brief biography here. The National Army Museum on Royal Hospital Road, Chelsea, London, has one of the original lamps from the Barrack Hospital in Turkey that were used by Miss Nightingale and her nurses. The museum also has some of FN's jewelry and medals. They also have information on the Crimea and have a session for Primary School pupils (5-11 yrs old) on Florence Nightingale, Mary Seacole and the Crimea. The Museum opening hours are 10am-5:30 pm, 7 days per week. Admission is free and the nearest tube station is Sloane Square. The Florence Nightingale Museum in the First Army HQ in Selimye is open daily 9-5. It's best to call ahead if you plan to visit.  If there is an event you think should be announced on this page, please e-mail us.